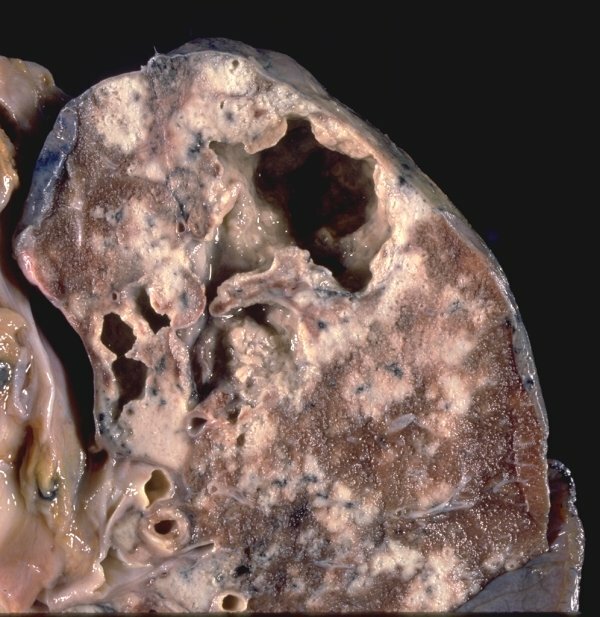 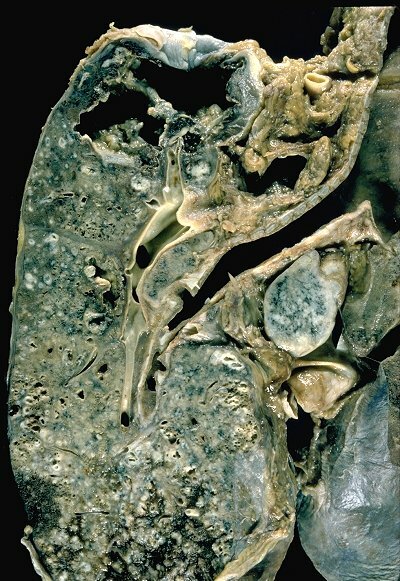 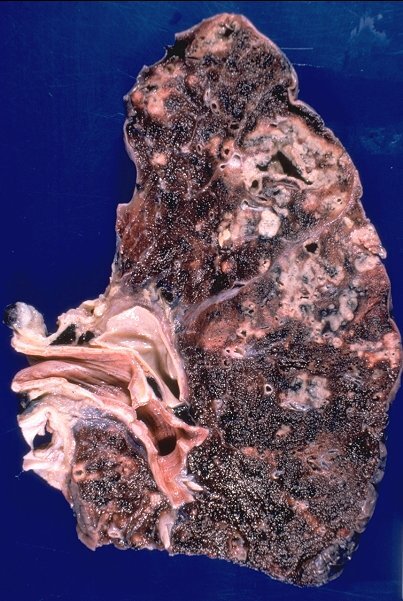 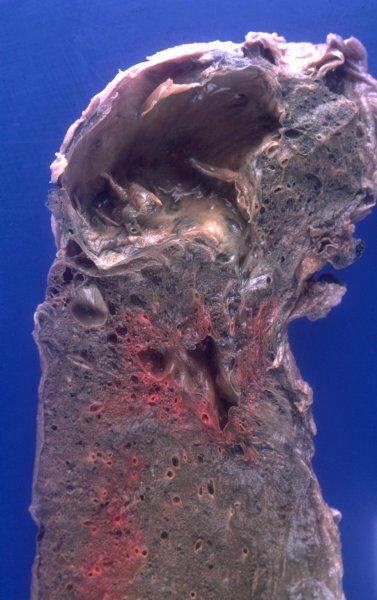 CAVITARY TUBERCULOSIS: Extensive necrosis with cavitation, usually occurring in the upper lung or apex, is a characteristic feature of "secondary" or "adult type" tuberculosis. 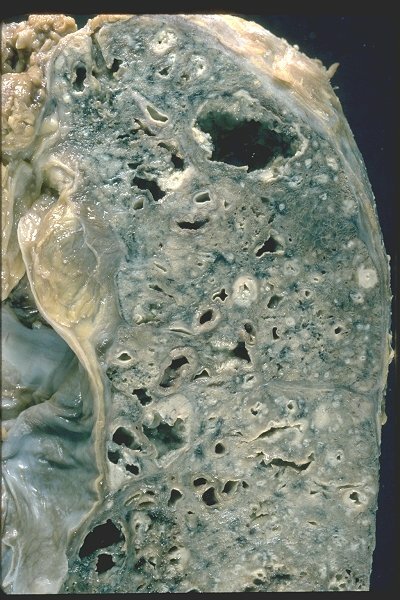 This is probably related to pre-existing hypersensitivity to M. tuberculosis resulting from a prior primary infection. 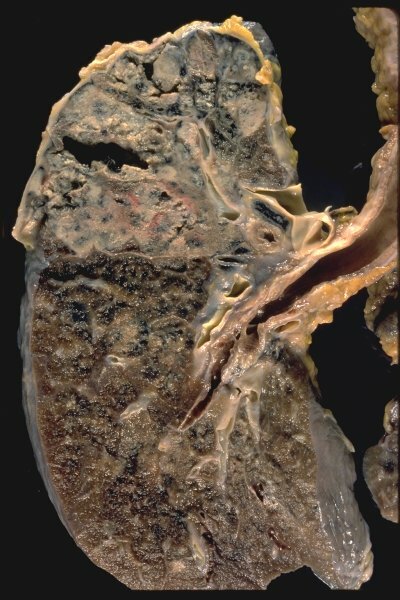 Cavities form when necrosis involves the wall of an airway and the semi-liquid necrotic material is discharged into the bronchial tree from where it is usually coughed up and may infect others. 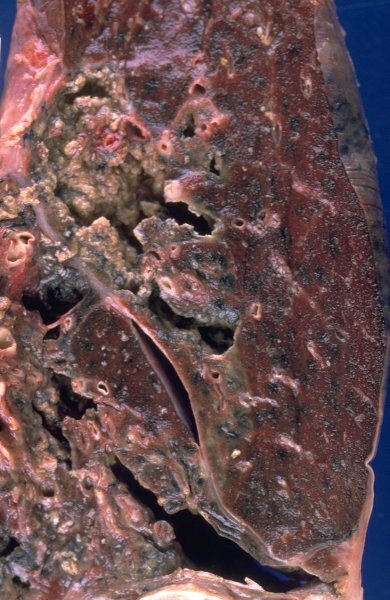 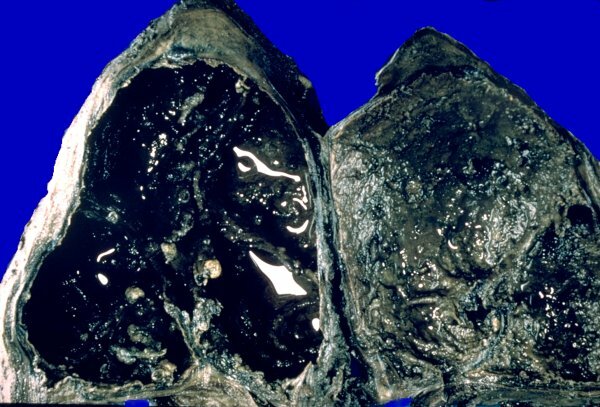 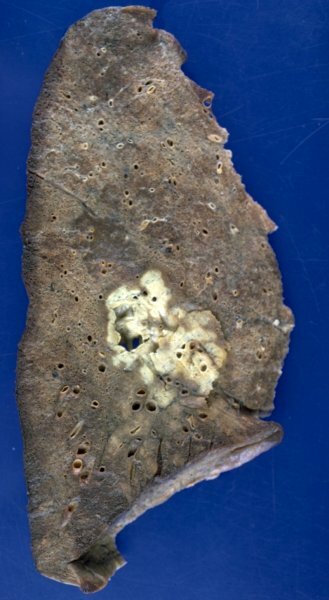 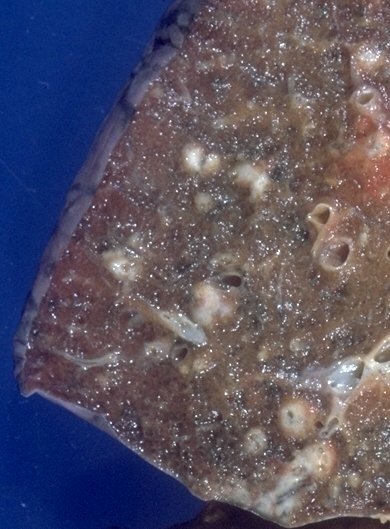 This infected material may seed other parts of the lung via the airways to produce a tuberculous bronchopneumonia. 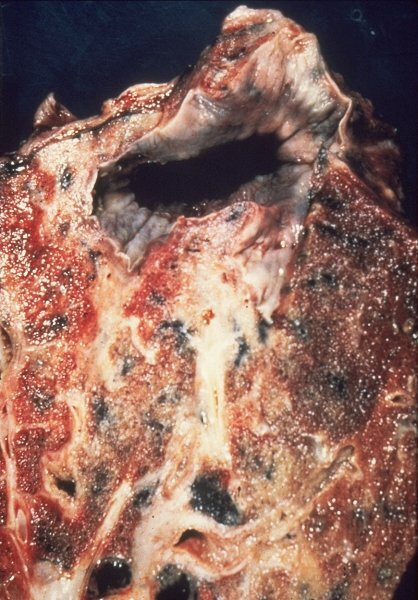 If swallowed, infection of the G.I. 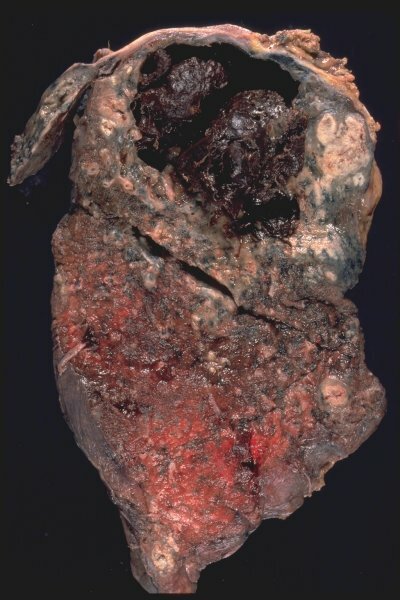 tract may result. 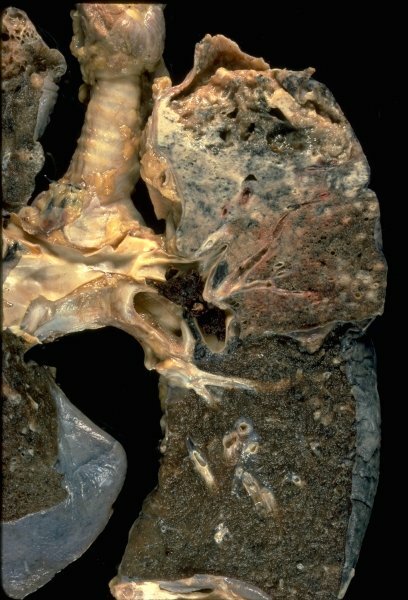 Communication of the centers of the tuberculous lesions with the airway exposes the bacteria to a high concentration of oxygen and promotes their proliferation. 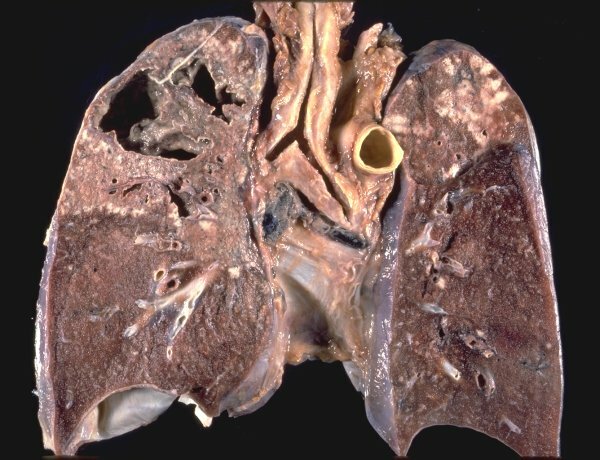 The risk of spread of infection to non-infected persons from individuals with cavitary tuberculosis is very high. 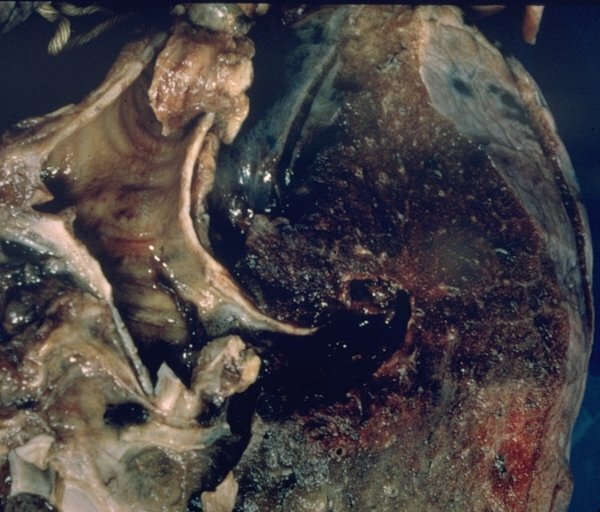 HEALING OF CAVITARY LESIONS: With control of the infection and elimination of tubercle bacilli cavitary lesions undergo a healing process which results in their linings undergoing transformation to scar tissue. 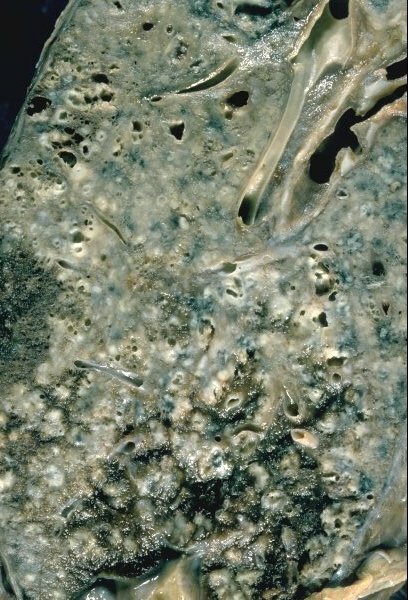 Old, healed cavities may become colonized by saprophytic Aspergillus sp. 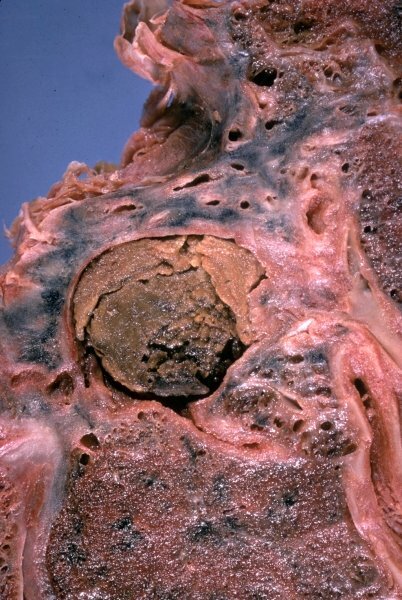 forming a "fungus ball" commonly referred to as an aspergilloma.